At last your furry friend is home, and you cannot wait to make fun memories together. But, do you know it is necessary to schedule a vet's visit as soon as you carry your pet home? It is not only essential to ascertain the health condition but also to be sure you start with your pup on a positive note. The first vet visit should be as short as possible. That is a new environment to your pup, and you do not want to cause anxiety and distress to your little friend. There are two main reasons you should seek your vet’s stamp of approval. To investigate the overall health of your puppy. I had the unfortunate experience of giving back a Dalmatian puppy within days of getting him since he leaked pee and couldn’t face the financial and emotional expense of major surgery for a 7-week old puppy! The second reason to get your puppy visit your vet as early on as possible is to help create a positive early experience between them. Here are tips to help you prepare for the first visit. Set up a vet visit first before you bring your new puppy home, so you can meet and interview the veterinary staff. Regardless of where you got your puppy from – breeder, friend or rescue center – you should visit your vet within a couple of days of bringing home your puppy. Contact the vet’s office as soon as you plan your dog’s first visit. Since he hasn’t had vaccinations yet, he is more susceptible to illnesses. Consider choosing an early appointment when there is less traffic at the vet’s clinic. If you don't have a vet already, ask your breeder for good recommendations or search for a veterinarian on the American Kennel Club website. You probably have had another dog and are familiar with common dogs’ behavior. But, each is different, and there is no problem asking as many questions as possible. For the few days you've had your pet, you can already tell a few behavior patterns and the activity of your dog. Keep a list of everything you want to know and don't hesitate to ask the vet. Your pet's first encounter with the vet can raise anxiety, and it can be so hard for your dog to cope. For this reason, carry some of the best treats for your dog which the vet can give to create a friendly atmosphere at the clinic. This is a really useful video by our friends at McCann Dogs about what you can do to ensure your puppy's first visit to the vets is a pleasant experience . What Happens at the Vet’s Clinic? Your vet will carry out a series of examinations to check the condition of the dog. It can be strange for your dog, and your role is to help your pet relax and keep calm. These are the most common examinations your vet will carry out on the puppy. Here, the vet will ask general questions about the dog. These would include any medications gives, the type of food your puppy eats, habits, any recent travel and past medical records. The vet aims to collect data on the general activity of the pet before he can administer any form of treatment or vaccination. During your puppy's first few weeks at home, take him to the vet just to meet the staff and get to know the office. After the vet has a rough idea about your general pet's behavior, they go ahead to check physical health of your puppy. These would include the condition of the fur, eyes, ears, teeth, and gums. It helps to identify any wounds or infections for prompt treatment. Also, the vet will record the weight of your puppy and other vital signs such as temperature, heart rate, and respiration rate. The vet will administer the first shots for your little pup after confirming the pet is in good health. If your pet is on treatment, you may have to go back for the injections once the dose is over. Puppy shots usually begin at six weeks old and boosters follow on 2-4 weeks later. It is an unfortunate and unappealing fact but puppies are born with worms! 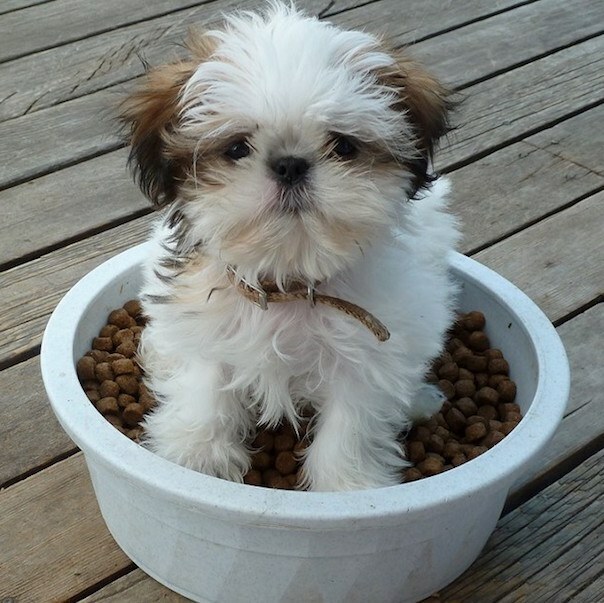 Vets recommend internal parasites be eliminated as it can weaken your puppy and stunt their growth. For this reason puppies should be wormed at birth and then every two weeks after that till such time that their stool samples show no evidence of parasites. At all times wash your hands after handling your puppy or especially after handling their dog droppings! Your vet may suggest a series of tests during this visit or the next one. Most tests will require blood, urine or feces samples. On this note, your vet may advise a blood test for heartworm disease and a stool sample to test for parasites. Mosquitoes spread heartworms, and a severe infestation can lead to heart failure. This disease can be fatal, but it is easy to diagnose and treat. The vet may carry out additional tests coupled with the heartworm test. Since parasites can cause damage to blood cells, a blood test can reveal multiple issues just by one prick. Dogs can get many diseases from ticks, including Lyme diseases, Rocky Mountain spotted fever, tick bite paralysis and many others. What Are the Cost Estimates for Your Puppy’s First Visit? There is no fixed price of the first visit to the vet. Factors such as the geographical location and the type of services determine how much you should pay. Usually, the vet will have a package of all the examinations that happen on the first visit. If not all are done, then you get to pay for what your pet needs. In the US, the first consultation visit will cost you an average of $50. It could be as high as $250 or even free of charge. However, additional tests and vaccination will scale up the cost again depending on what your pet needs. The total expense at your visit will depend on the services, and sometimes the need for follow up visits. Now is a good time to start looking into pet insurance. After four visits to the vet with our now older dog we coughed up around $500 in just 7 weeks. We caved in and got pet insurance and helped save us $3000. Reimbursement has been very easy and straightforward too! Pet insurance is a must and can save you thousands in the long run. You get covered for meds, OTC meds, costs toward shots, testing, wellness exams, ear infections etc. There are many good providers out there, Wellness, Healthy Paws and Pet Premium are a good start. Planning the first can seem overwhelming especially if you are keeping a dog for the first time. You ought to visit the vet as soon as you bring your pet home to ascertain the health conditions right from the start. 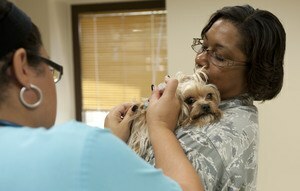 Ask questions and confirm the treatment or vaccination your pet needs. After the visit, ensure you follow the vet’s advice to keep track of your pet’s health. Also, schedule an annual appointment and keep contact with your vet in case of emergencies.